The Merc with a Mouth, a.k.a. Deadpool became all the rage in 2016 when it broke the fourth wall and addressed the fact that he is in a movie throughout the entirety of the film. While this sets him above the rest, it also lends itself to an endless world of promotion and marketing. In a hilarious video shared by Ryan Reynolds, David Beckham is seen watching the original 2016 Deadpool and stewing over one joke in particular. Not to worry though, Deadpool is prepared to apologize. The video features the Marvel character doing anything he can so that Beckham will forgive him. 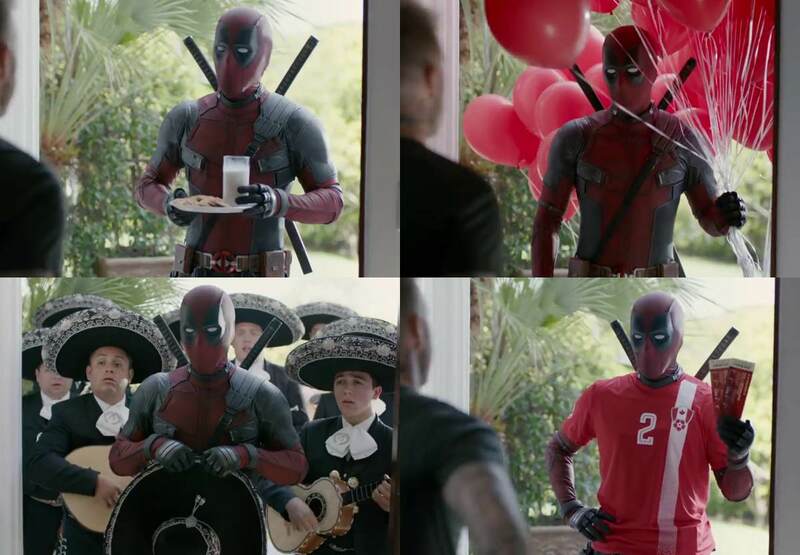 From a glass of milk and cookies to a mariachi band, this superhero goes all out to apologize to the ex-footballer. However, the only thing that works is tickets to a football game. Regardless, with that purported beef now officially squashed, we can all move on to the release of Deadpool 2, which hits theatres on May 18. Reynolds will be reprising his role as the Merc with a Mouth alongside Zazie Beetz as the luck-manipulating mutant Domino and Josh Brolin as Cable, the time-travelling son of the X-Men’s Cyclops. Jack Kesy is playing the film’s central villain, which, while unconfirmed, is rumoured to be Irish mutant Black Tom Cassidy. Other additions to the cast include Shioli Kutsuna, Terry Crews as Bedlam, Lewis Tan as Shatterstar, with Bill Skarsgård, and Julian Dennison. Returning from the first Deadpool include Leslie Uggams as Blind Al, Morena Baccarin as Vanessa, Brianna Hildebrand as Negasonic Teenage Warhead, Karan Soni as Dopinder, and Stefan Kapicic as the voice of Colossus.